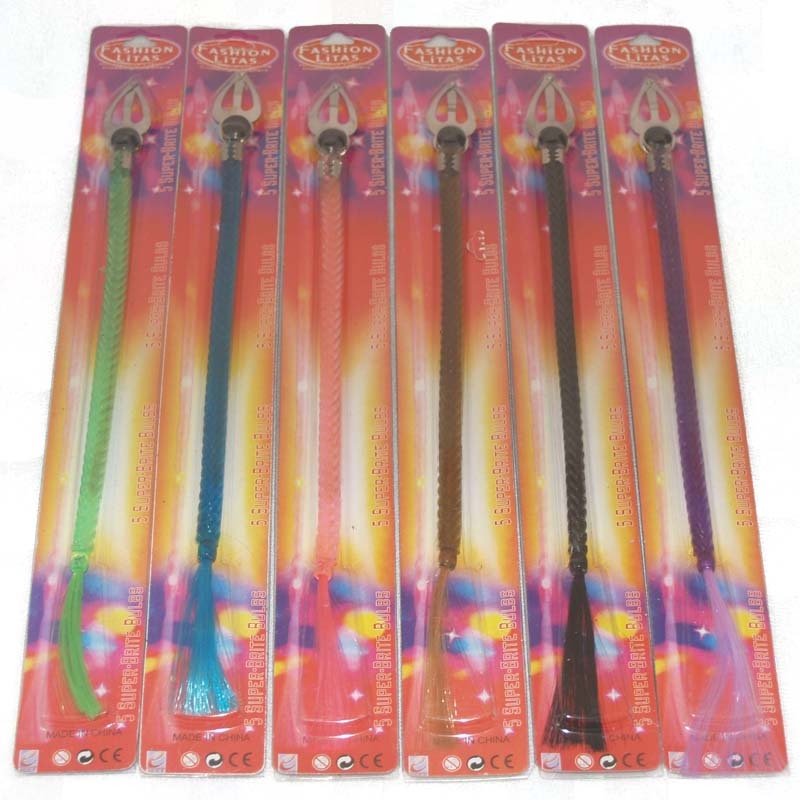 This is a wholesale/bulk lot of 24 Flashing LED Hair Braids. Various braid colors. 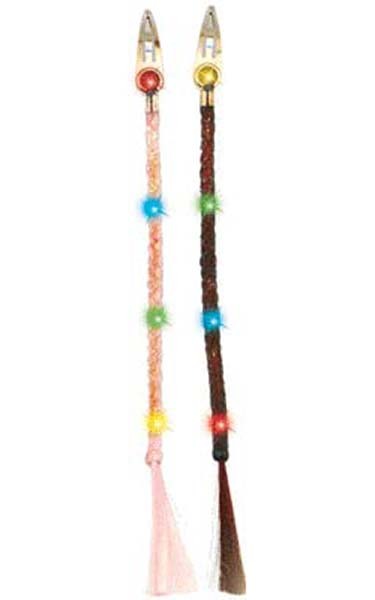 Amazing LED flashing hair braids, clip into your hair, and make you the star of any party or concert! 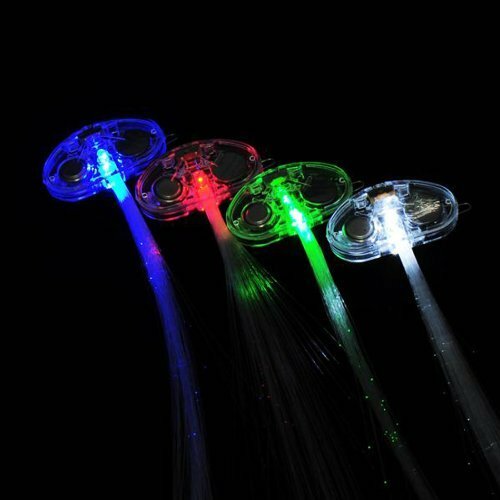 Five very bright color LED lights flash in a cool random pattern, producing an amazing effect. 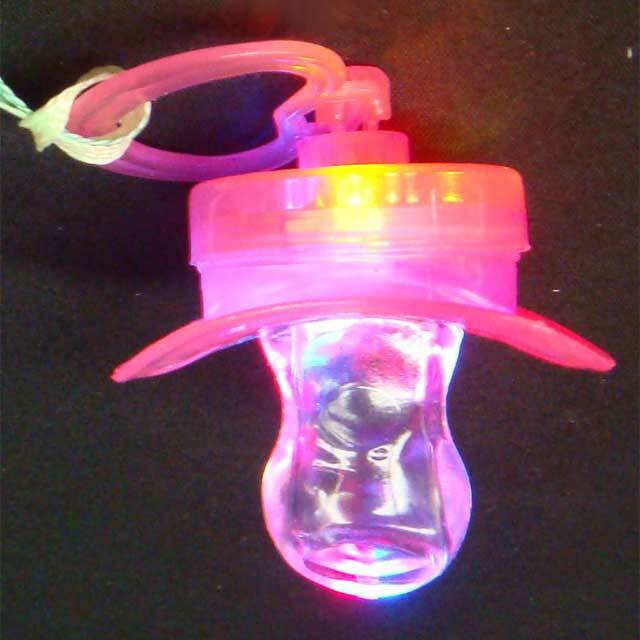 These will go well with our other flashing body jewelry, as well as our flashing barware and flashing toys! Turn on and off as desired with the simple push-button operation. Two lithium button-cell batteries are preinstalled and are easily replaceable. 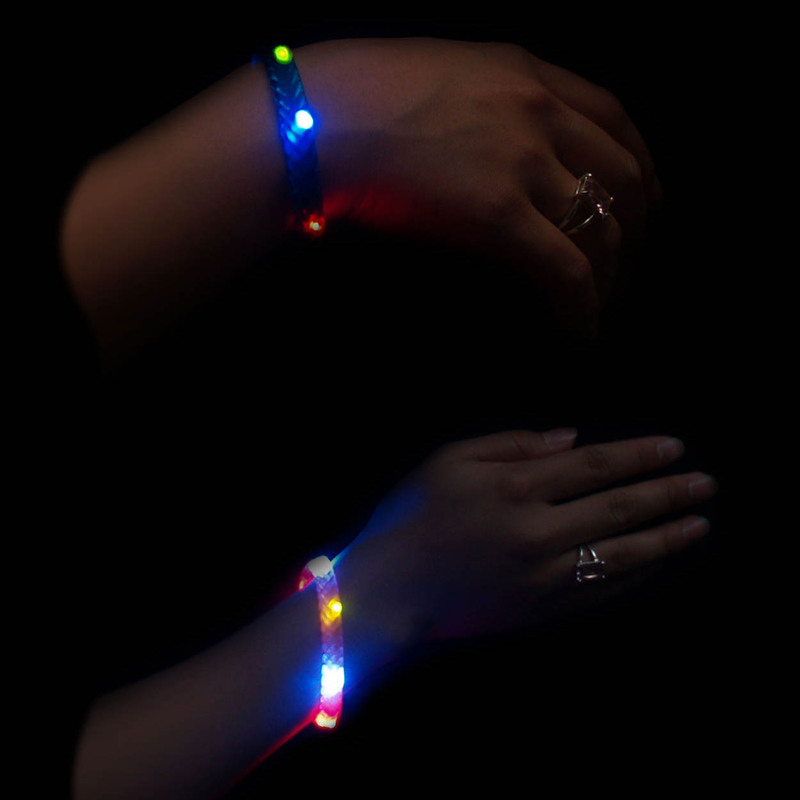 Now available in six braid colors, (lights are the same.) Collect all six! A great Gift Idea! 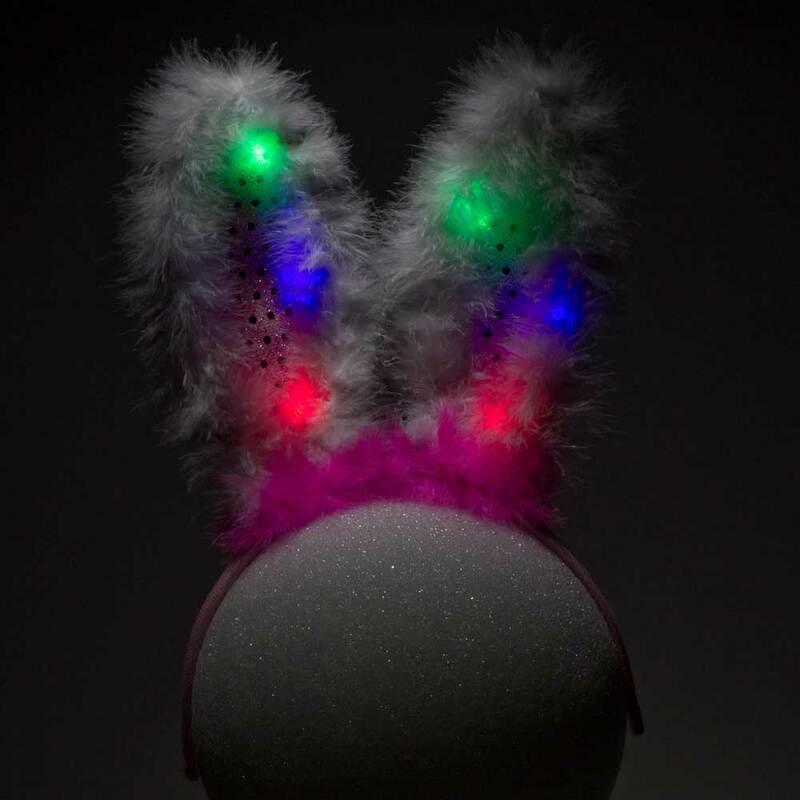 These make great gifts for any party or dance enthusiast and are great for that hard-to-shop-for party person. If you're looking for a really cool gift, look no further! Parties, Discos, Concerts, Raves, New Year celebrations, Special events, Birthdays, and more. Available in 6 cool colors - collect all six! Comes with two 3 volt CR-927 Lithium batteries preinstalled!